WE Global Learning Centre Opened !! 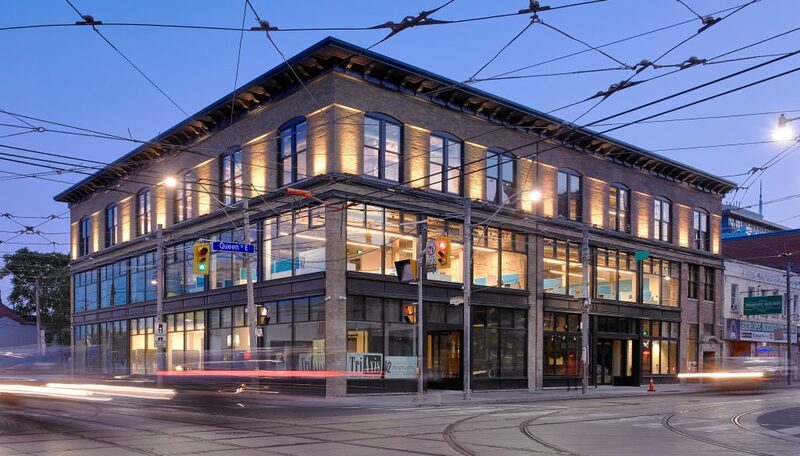 Congratulations to WE Charity on the grand opening of the WE Global Learning Centre on September 27, 2017 at Queen and Parliament in Toronto. It was an incredible event and amazing to witness the final step in our total transformation of this old, neglected blue building into an energetic social hub that will empower and inspire youth to bring major change in the world. As the Design-Builders for this high profile project, we lead a team of distinguished architects, designers and tradespeople to ensure that the facility was built to the highest standard of workmanship and quality. There is not a single element of this early 20th century building that was not stripped back to its original brick structure and masterfully renovated to create a building that may be the most advanced, high-tech learning facility in Canada. 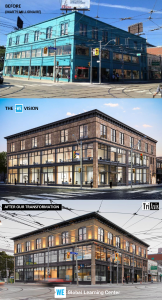 A huge thanks to Marc and Craig Keilburger for their incredible acknowledgement, support and confidence in the TriAxis team throughout the building process and providing our team with the unique opportunity to use our skills and experience to transform this landmark heritage building into a state-of-the-art facility which will allow WE to bring transformation to the world.